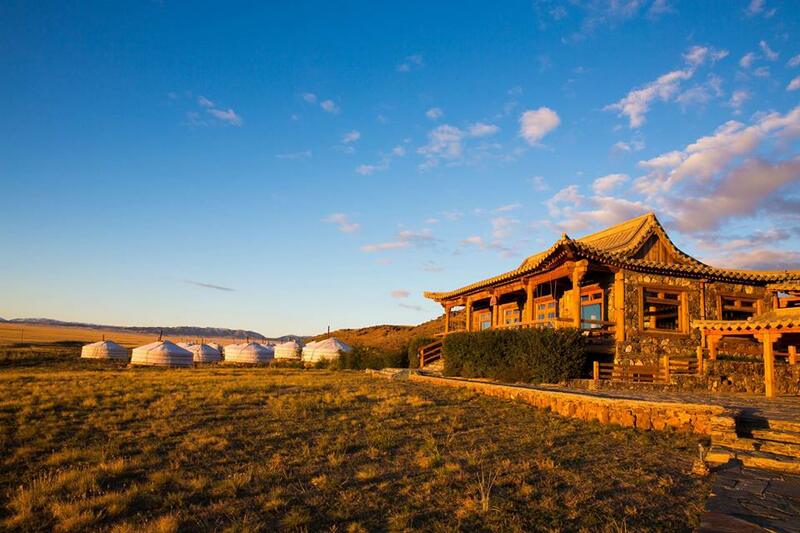 Book this trip and stay in a Deluxe get at Gobi Nomad Lodge for three nights at no additional cost. The Deluxe gers have en-suite bathrooms with shower and air-conditioning. Check our lodge's review at TripAdvisor. I had a very enjoyable and unforgettable holiday in Mongolia, as it truly was the holiday of a lifetime. Mongolia is a fantastic destination because the scenery is just beautiful and the people are so friendly. Soyoloo was our tour guide and he spoke very good English, he was always punctual, very helpful and generally took care of us. He had very good knowledge of Mongolia, so we were well informed well of the history of Mongolia, the summer festival Nadaam, the traditional gers in the countryside, and the city of Ulaanbaatar. Visiting the traditional gers with Soyoloo was especially fun because We got to do so many different activities like try archery, try some of the Mongolian food, ride a camel, have our names written in Mongolian and we even had Mongolian music played to us. I had learnt that Mongolia is such a fascinating and unique country, which is extremely picturesque, and we would absolutely love to visit the country again in the future. I would recommend anyone thinking of going to Mongolia through Travel All Mongolia, to absolutely go, and get in contact with Soyoloo, because you will be well looked after and you will never forget the holiday. 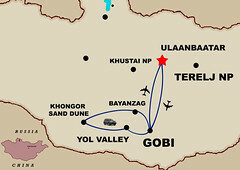 Our Gobi trip takes a week including a domestic flight. The Gobi is the southernmost desert in the world and certainly the highlight of Mongolia, choosing our Gobi trip you will enjoy a walk in the gorgeous Yol valley which reminds alpine meadow, internationally famous dinosaur site, Flaming cliffs, where the first dinosaur egg nest was discovered, up to 300 meters towering Singing Dunes, the biggest oasis in the Gobi, where you will do a camel riding along the dunes and climb to hill to see the Bronze age related “natural installation” of petroglyphs and beautiful, endless view of the Gobi. You will spend three nights of your five day Gobi trip in the deluxe gers of our “Gobi Nomad Lodge without any extra charge. The deluxe gers are equipped with private shower, bathroom and air conditioner which make your stay comfortable and relaxing. Within the trip we also offer you to visit a regular nomadic family and learn about their unique and disappearing nomadic lifestyle and nomadic way of thinking. 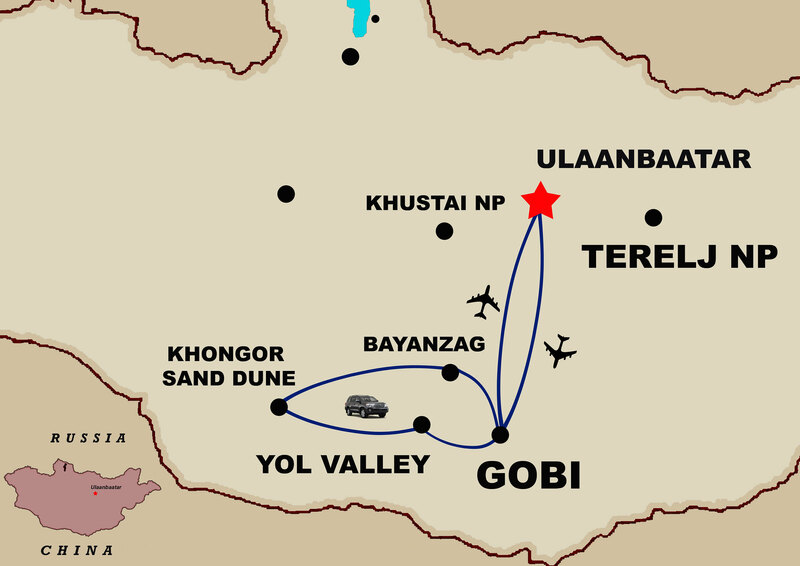 Right on arrival to the Gobi you will be met by our driver who will provide you a comfortable and air conditioned service during the trip. Please, notice that we provide one English speaking tour guide throughout whole trip. Besides the Gobi trip you can extend your Mongolia trip picking other interesting destinations as Karakorum, ancient capital city of Great Mongol Empire, Khustai national park, home to the extinct wild horses and learn about one of Mongolia’s successful conservation programs or visit the pristine, turquoise blue Khuvsgul lake respected anciently by the Mongolians as “Mother sea”. Drive to airport after breakfast. Take a flight back to Ulaanbaatar, transfer to the hotel and lunch at local restaurant in Ulaanbaatar. In the afternoon free time do shopping for cashmere shop, souvenir shop and State Department Store. Enjoy watch national folklore performance by “Tumen Ekh” national song, throat singing, tsam mask dance and so on. A farewell dinner and stay overnight in hotel. Check out from hotel and transfer to Chinggis Khaan International airport or Ulaanbatar train station for departure.